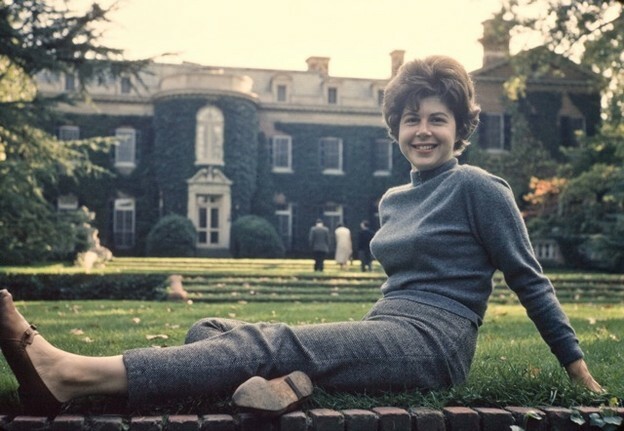 Marjorie Perloff at Dumbarton Oaks, 1957. Image courtesy of Marjorie Perloff. When does a literary critic reach maturity? Looking back over Marjorie Perloff’s career, one could point to “Poetry Chronicle: 1970–71” (1972), an omnibus review of more than thirty recently published books, as a possible candidate. Perhaps for the first time, instead of building on others’ insights, she actively sought to reshape literary opinion based on her own, independent observation and judgment. “Poetry Chronicle” opens with a provocative quotation from Peter Schjeldahl — “Robert Lowell is the least distinguished poet alive” (97) — and goes on to declare the emergence of a new literary star, Frank O’Hara. Perloff marvels that a formerly “underground” writer’s “Collected Poems should now have appeared in an expensive glossy edition, brought out … by the venerable Alfred A. Knopf, and that [his] poetry, largely ignored by the Establishment during his lifetime, should win the National Book Award” (97–98). Moreover, while the “autobiographical elegiac mode inaugurated by Lowell’s Life Studies” (1959) might still have adherents — she mentions Denise Levertov’s To Stay Alive (1971) and John Berryman’s Love and Fame (1970) — “the real action now seems to be elsewhere,” namely, among O’Hara’s New York School imitators, whose works, like his, are typified by “improvisation, immediacy … catalogues of concrete images[,] … racy, purposely outrageous diction, and a very loose free verse line” (98). When “Poetry Chronicle” appeared in Contemporary Literature, Perloff also happened to be in the later stages of working on her second book, The Poetic Art of Robert Lowell (1973). Lowell, too, was still actively publishing, and such major, award-winning collections as The Dolphin (1973) and Day by Day (1977) still lay in the future. Why would she publicly declare the Age of Lowell over — in the midst of preparing her definitive statement on the subject? The Poetic Art of Robert Lowell incorporates two previously published essays. One of them, “Death by Water: The Winslow Elegies of Robert Lowell” (1967), contrasts the failure of the water imagery in his early poetry to “resolve” satisfactorily to the “new and delicate balance between … lament and consolation” that his water symbolism attains in Life Studies (140). Her interlocutors include Randall Jarrell and R. P. Blackmur, and she repeatedly cites the Kenyon Review. The other reprinted piece, “Realism and the Confessional Mode of Robert Lowell” (1970), pursues an entirely different tack. It opens by invoking the Russian Formalist critic Boris Tomashevsky, and it relies heavily on Roman Jakobson’s definition of metonymy to explain Life Studies’s inventive use of syntax. The remainder of the book displays similarly divided loyalties, moving back and forth between American and European models. For instance, its preface credits the French phenomenologist Jean-Pierre Richard’s Poésie et profondeur (1955) with inspiring the first chapter, and then proceeds to declare the fourth chapter indebted to Helen Vendler’s On Extended Wings: Wallace Stevens’ Longer Poems (1969, x–xi). By any usual standard, The Poetic Art of Robert Lowell represents first-rate practical criticism. It attends to the specifics of a poet’s craft, from prosody to tone, and it accounts well for the variations in quality of his verse over the decades. Perloff, however, seems to have been dissatisfied with the eclectic mix of approaches that she employed. A year later, she followed up Robert Lowell with a manifesto, “New Thresholds, Old Anatomies: Contemporary Poetry and the Limits of Exegesis” (1974), built around a reading of O’Hara’s lyric “Essay on Style” (1961). She argues that New Critical interpretive methods, intent on “the construction of meaning,” are ill-matched to poetry such as O’Hara’s “which deliberately avoids symbolic density in favor of literalness” (99). Critics, she asserts, need an updated formalism that takes on board “the increasing sophistication of American literary theory, its growing assimilation of European critical concepts, whether Phenomenologist, Structuralist, or Marxist” (83). What is the lesson here? During the summer of 1972, Perloff read a very large amount of recently published verse, and while the resulting “Poetry Chronicle” singles out several different writers for praise, including Galway Kinnell and A. R. Ammons, what truly captured her imagination were “twenty-two pages of poems by O’Hara” reproduced in Ron Padgett and David Shapiro’s Anthology of New York Poets (1970) (Frank, xxxii). Hence, although O’Hara had died in 1966 and Lowell still lived, from her point of view O’Hara represented true news, and, significantly, his work came to her in the context of a “new literary movement” in which “what the poem says is much less interesting than the process whereby the poet responds to the items in his environment” (“New Thresholds,” 99). Moreover, she intuited that “the increasing sophistication of American literary theory” (83) had enabled academic readers “[b]rought up on Wellek and Warren’s Theory of Literature, and trained to define the musical structure of Four Quartets” to begin to read O’Hara and his followers with appreciation (99). While not yet a proponent of the avant-garde, she does assert a correlation between two narratives of supersession (densely symbolic poetry giving way to a poetry of process, New Criticism ceding ground to High Theory), and she sets the stage for further inquiry into what it means for a poem to be fully, unreservedly of its moment. 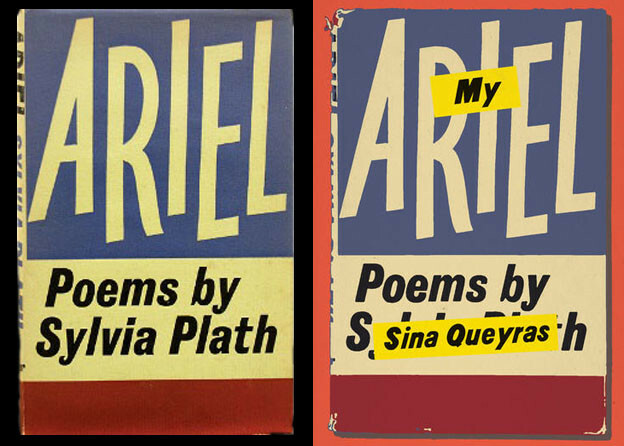 Her next book, Frank O’Hara: Poet Among Painters (1977),  would require her to reassess Abstract Expressionism, French Dada and Surrealism, and Cagean aleatory composition through O’Hara’s eyes, which would in turn encourage her to think more deeply about avant-garde innovation transnationally and across media. As a consequence, in the book’s preface she finally begins to sound like the author of The Poetics of Indeterminacy (1981), Radical Artifice (1992), and Unoriginal Genius (2010). Prefiguring many similar declarations, she celebrates O’Hara for producing “a body of exciting experimental poetry, quite unlike the established neo-Symbolist verse of the fifties” (xxxii). By “established neo-Symbolist verse of the fifties,” of course, she had in mind Life Studies, which in Robert Lowell she lauds as his “central achievement” (xi). In the summer of 1972, disenchanted with Lowell’s poetry since For the Union Dead (1964) and increasingly intrigued by Continental theory in general and Russian Formalism in particular, Perloff was intellectually primed for a new departure. A chance encounter with an anthology put her on a new path. And helped change the course of American poetry criticism for the next forty years. 1. Marjorie Perloff, “Poetry Chronicle: 1970–71,” Contemporary Literature 14, no. 1 (Winter 1973): 97–131. 2. Perloff, The Poetic Art of Robert Lowell (Ithaca, NY: Cornell University Press, 1973). 3. Perloff, “Death by Water: The Winslow Elegies of Robert Lowell,” ELH 34, no. 1 (March 1967): 116–40. 4. Perloff, “Realism and the Confessional Mode of Robert Lowell,” Contemporary Literature 11, no. 4 (Fall 1970): 470–87. 5. Perloff, “New Thresholds, Old Anatomies: Contemporary Poetry and the Limits of Exegesis,” Iowa Review 5, no. 1 (Winter 1974): 83–99. 6. Perloff, Frank O’Hara: Poet Among Painters (Chicago: University of Chicago Press, 1977).